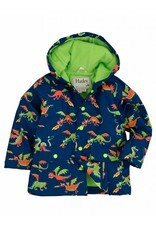 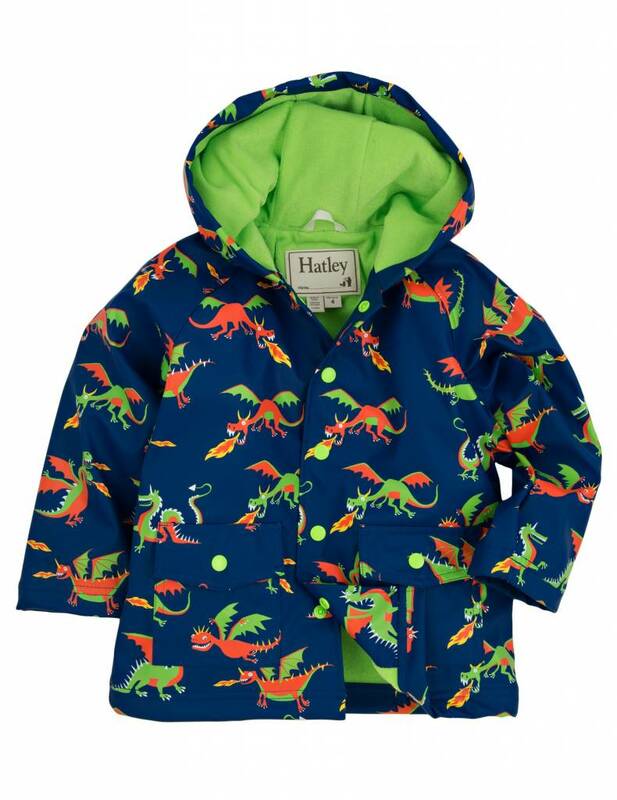 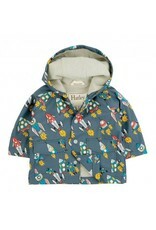 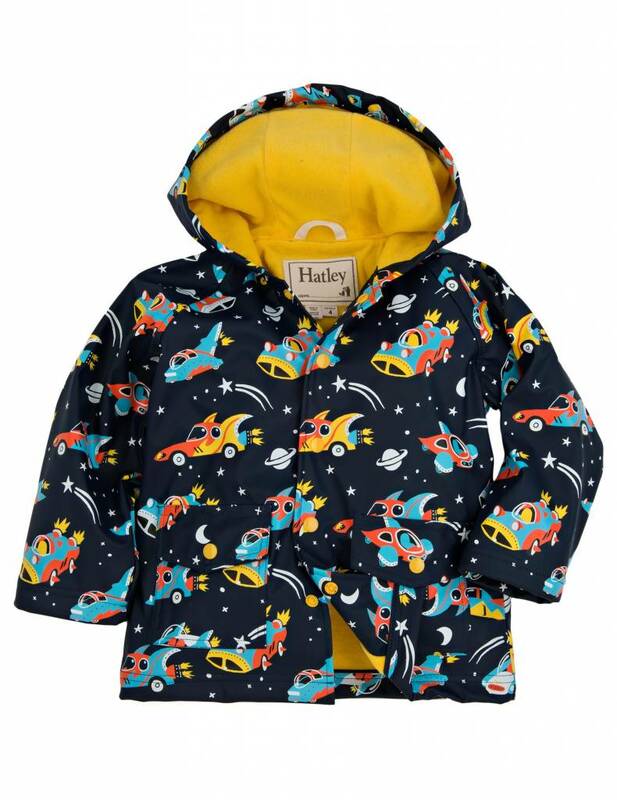 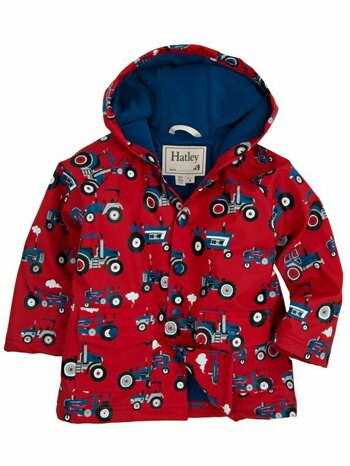 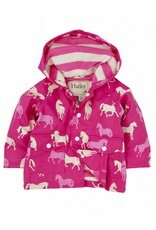 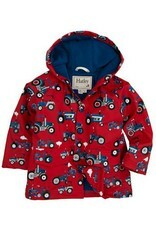 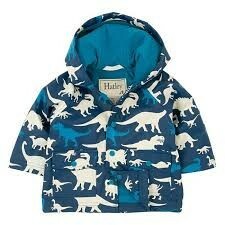 The waterproof outer shell of the Hatley Retro Rockets Baby Raincoat is made from soft, flexible and easy to maintain polyurethane (PU) which is a modern Phthalate-free alternative to PVC. 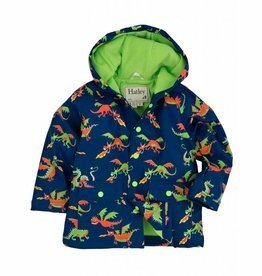 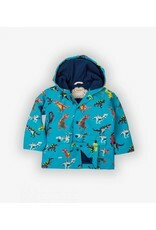 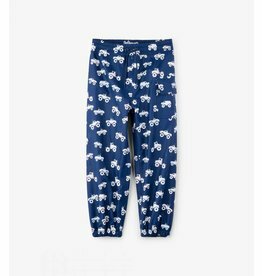 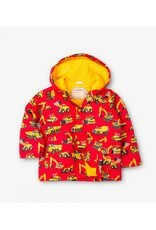 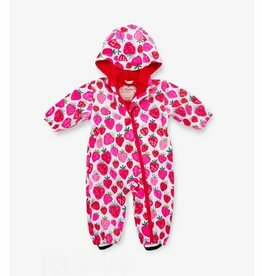 It is also has a comfy terry lining including the hood to make it nice and soft for your child to wear, and adsorbs condensation. 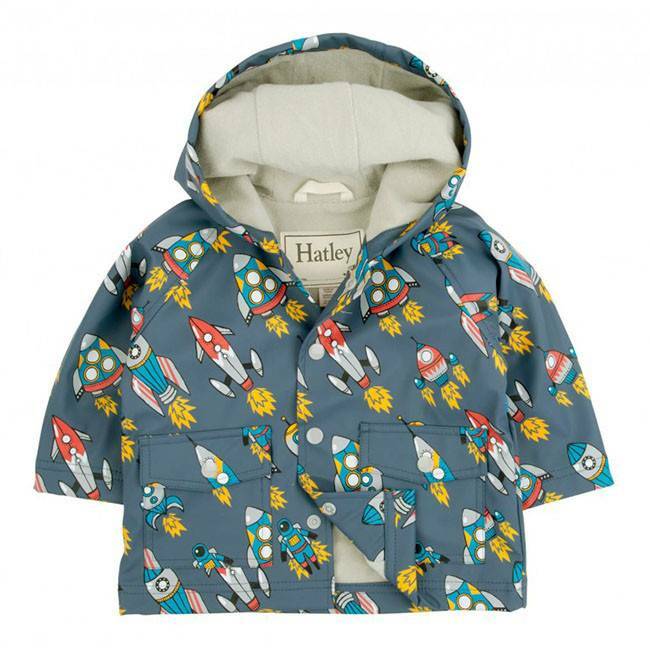 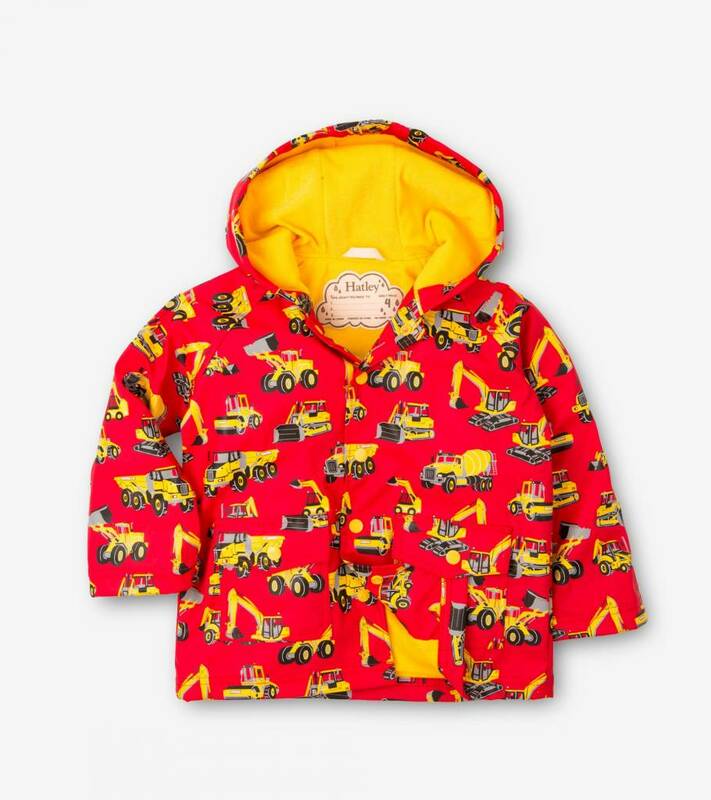 The Retro Rockets Baby Raincoat is not padded for maximum wear with heavier clothing in cold weather, or just a t-shirt when it's warm and raining. 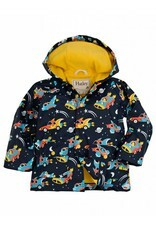 Fully waterproof and machine washable! 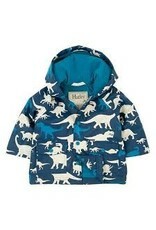 Great for Daycare and Preschool! 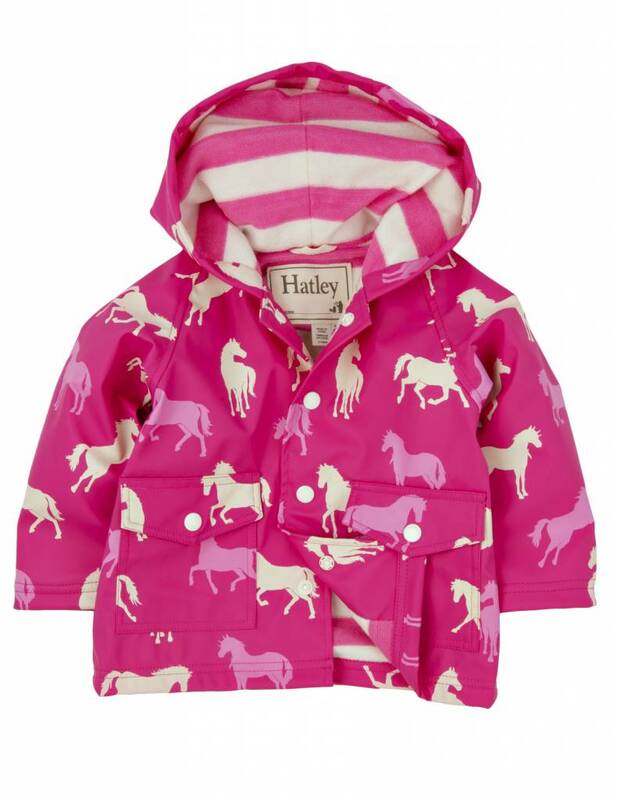 Classic Horses, Nordic Flower, Field Flowers, Unicorns and Rainbows, Nordic Apple, Soft Deers, Happy Owl, Ladybug, Ponies and Polka Dots, and Strawberry Sundae prints! 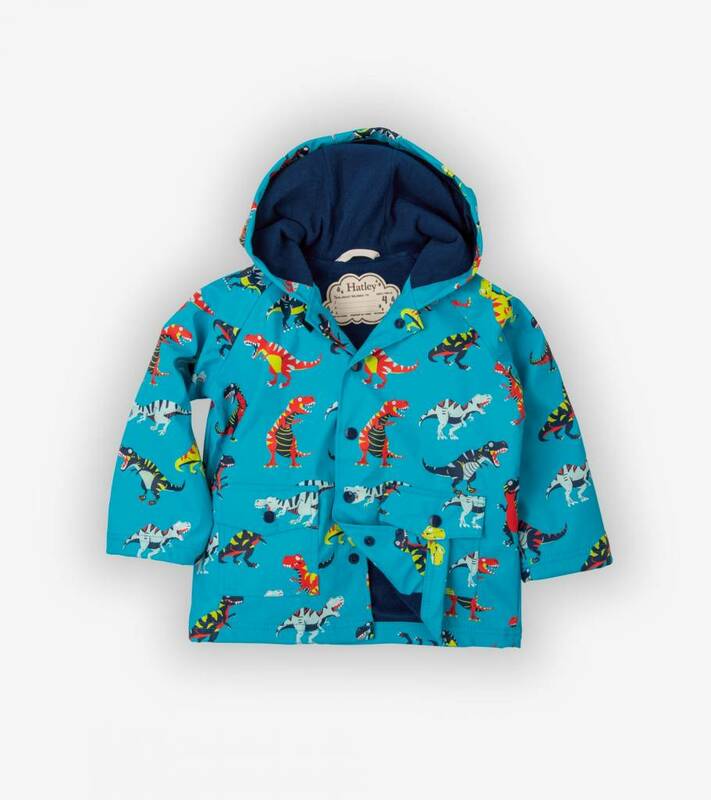 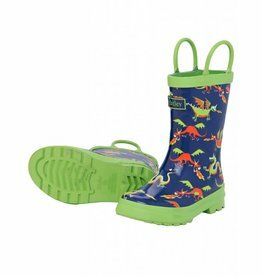 Moose, Polar Bears, Tractors, Raining Dogs, Space Cars, Dragons, Yellow and Blue, Royal Blue and Orange, Heavy Duty Machines, and Roaring T-Rex prints! 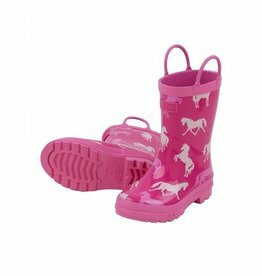 Bright yellow, honey yellow, grey, blue, red, bright pink, light pink, fluorescent pink, and classic pink colour options! 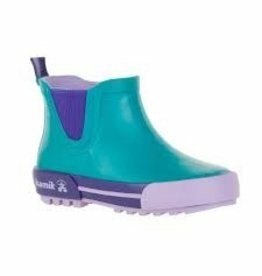 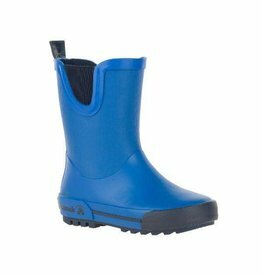 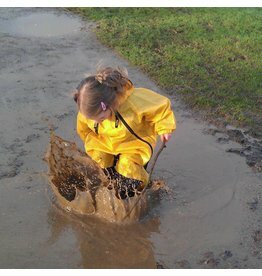 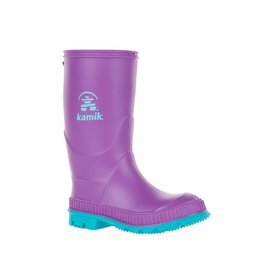 New Low Style Boots give kids great maneuverability while keeping their feet dry!